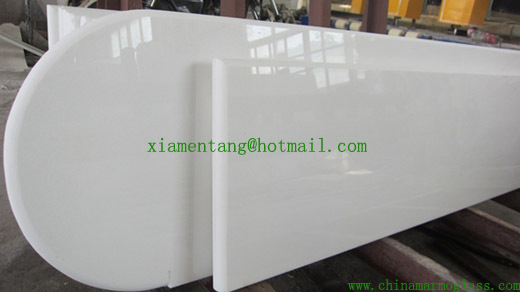 marmoglass tabletop-welcome to china marmoglass, nanoglass, nano crystallized glass panel crystallized glass panel,crystallized white stone,white marble,minicrystal stone. WE HAVE POLISHED, HONED, SANDBLAST,BUSHARMERED FINISHING WAY FOR MARMOGALSS AND NANOGLASS. WE CAN MAKE BULLNOSE, EASD,LAMINATED EDGE AND SO ON. We can show some finished project at our local xiamen city that we build those year !